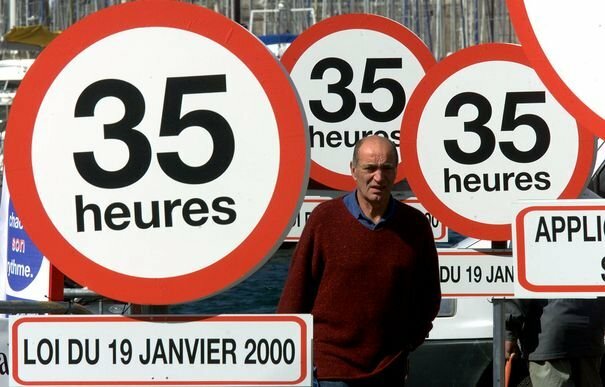 L’étude porte sur la Corée du Sud, qui est passée de la semaine de 44 à 40 heures en 2004 (passage à la semaine de 5 jours). Résultats : certes les travailleurs coréens se sentent mieux dans leur travail … mais pas dans leur vie de manière générale. This article uses detailed longitudinal data from the Korean Labor and Income Panel Study for the period 1998–2008 to analyze the happiness impact of working hours reductions on workers and their families. The major contribution to the literature is the use of an exogenous reduction in working hours, due to the Korean Five-Day Working Reform, in a subjective well-being (SWB) model. The findings indicate that reductions did not have the expected positive effects on worker well-being. While satisfaction with working hours increased, reductions had no impact on job and life satisfaction. Thus, long working hours might not be as negatively related to worker well-being as predicted by theory. Moreover, positive SWB effects might be offset by rising work intensity. Moi, réduire mon temps de travail m’a rendu incroyablement heureux.